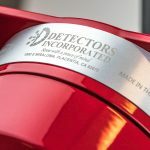 The Detectors Inc. Models D381 and D383 (D38X Series) Multi-Spectrum 3IR+UV are new generation of optical flame detectors designed for detecting both Hydrocarbon and Non-Hydrocarbon fires. 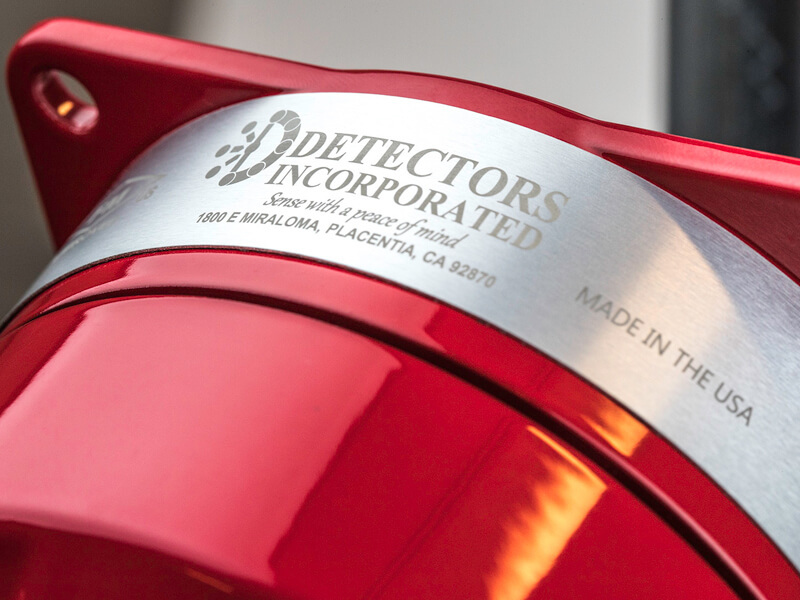 The D38X detectors sense Ultraviolet radiation in the UV spectrum and Infrared radiation in 3 discrete bands of IR spectrum for detecting fires. 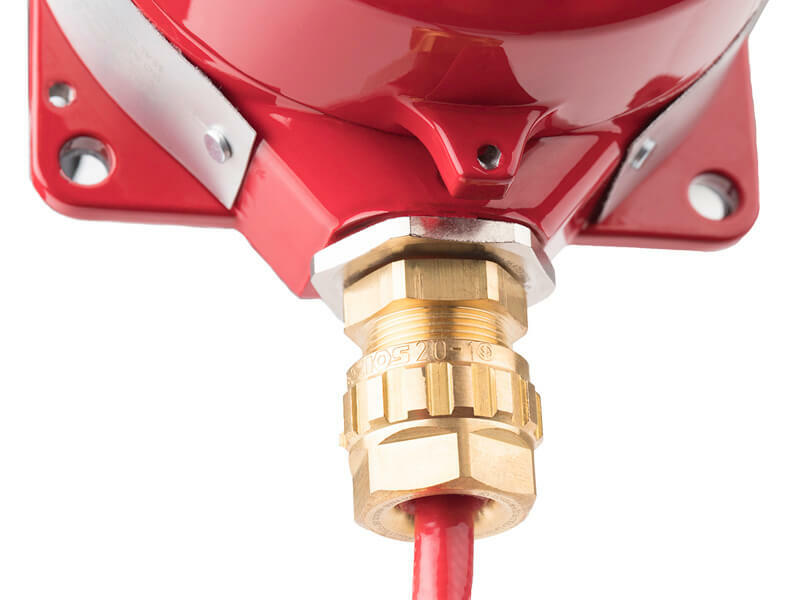 The Models D38X series detect flames and reject false alarm sources by utilizing the Convolution Method and Advanced DSP (Digital Signal Processing). The Model D381 is a detector designed for multitude of general-purpose applications. 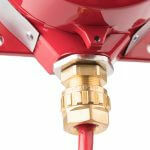 The detector will respond to a 1 ft. x 1 ft. n-Heptane or IPA fires from 80 feet within 3-5 seconds. 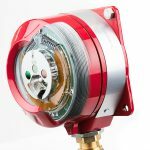 The Model D383 is high-speed flame detector designed specifically for liquid spray paint and powder coating applications. 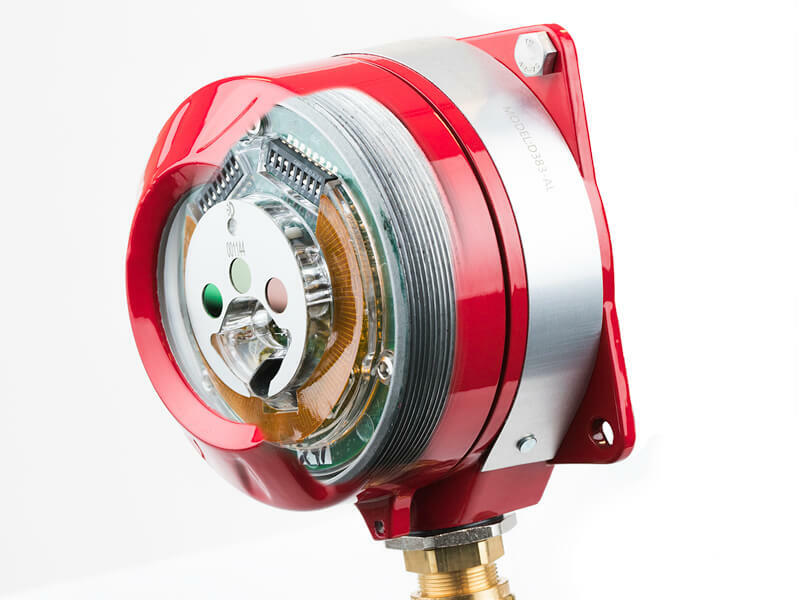 The Model D383 offers a fast and reliable fire detection and monitoring for detecting flash fires within 0.3 seconds at a distance of 30 feet in compliance with NFPA 33 Standard. 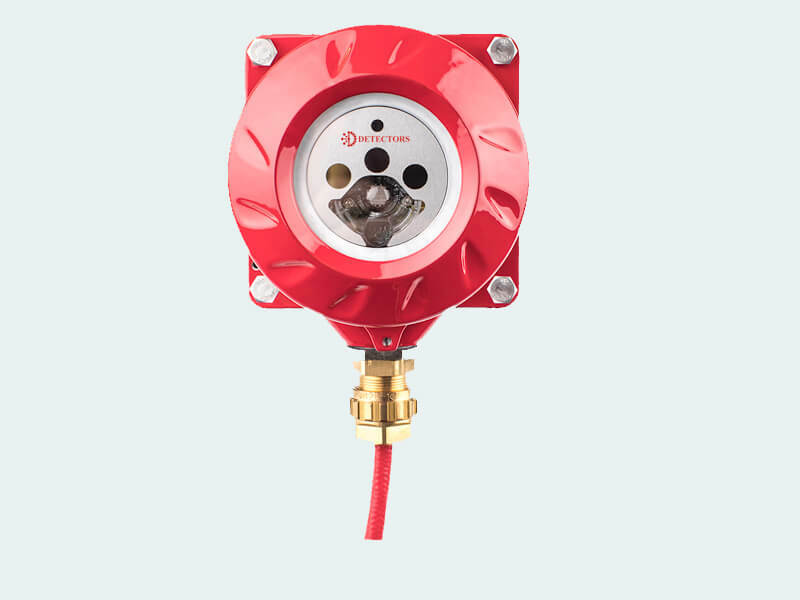 The Models D38X series are stand-alone fire & flame detectors in watertight NEMA 4 (IP66/67) and explosion-proof Aluminum enclosures designed for Class I, Division 2 (Zone 2) installations. The detectors feature automatic self-test for continuously checking the optical path integrity while monitoring the electronics to ensure utmost reliable operation and fault reporting.